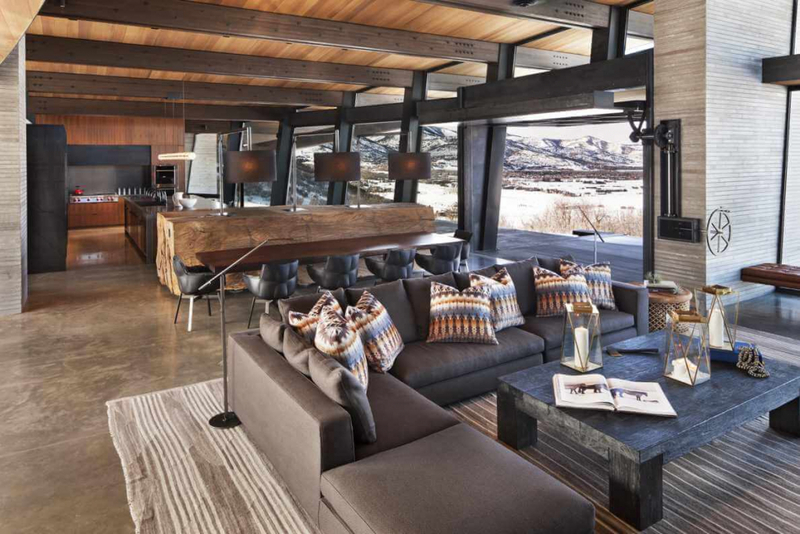 Since 1974, Fred Marshall Painting has been the chosen painter for Park City’s most exclusive homes. Because of our reputation for superb quality we have grown in the largest painting contractor in Summit County. When you choose a painter for your custom home, we believe the two most important considerations are (1) quality and (2) timeliness. A painter’s work is quite visible and is seen in every room of your house. Fred Marshall Painting is the highest quality painter in Park City. Our primary goal is to make sure our customers are completely satisfied with our work. Also, because of our extensive experience and larger size, we are able to meet difficult timelines and schedules. Fred Marshall Painting is the premier painting contractor in Park City. Over the years we have had a number of clients that first chose a less reputable painter because of price, but subsequently hired us when (1) the job was “completed,” or (2) in the middle of the job to fix quality issues, or (3) to meet a schedule that was not being met. It is usually better for your stress level, and even your wallet, to get it done right the first time. When you choose a painter for your multi-million dollar home, please do not skimp by using a bargain basement painter; please choose a painter that will make your home a masterpiece. In the painting and coatings industry, Fred Marshall Painting is synonymous with quality. One of the best home builders in Park City describes us as, “hands down the finest painting contractor in Park City.” Another customer describes us as a painter of “high quality for a fair price.” What makes a Fred Marshall Painting home extra special is our furniture-grade lacquer and stain finishes. Fred Marshall Painting is known in Park City as the painter for the highest-end and most difficult projects. Often, even our competitors will refer customers to us if a project is too difficult or too large. Please contact us for your interior painting needs: (435) 649-8708.